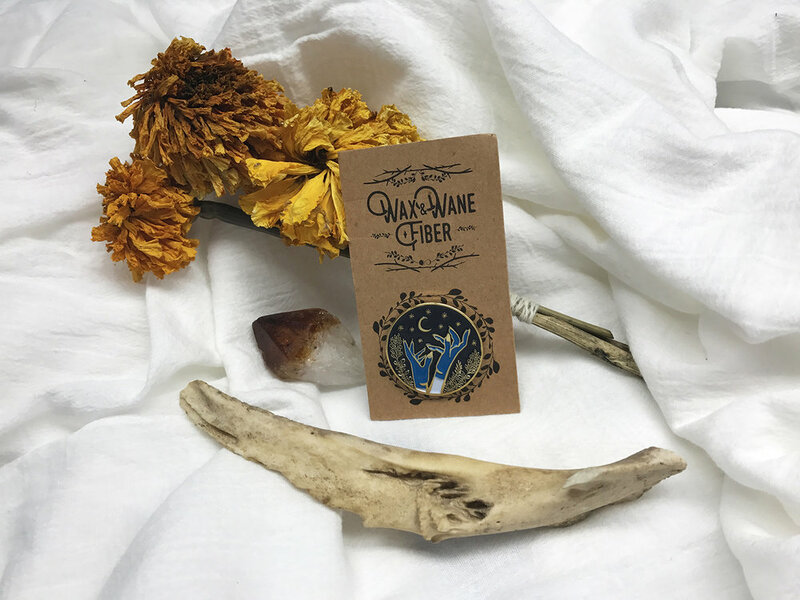 Wax & Wane Fiber was looking for some enamel pins that they could sell that would capture their brand and what they are passionate about, and we worked together closely to create these witchy, indigo dyed hands reaching for the stars. 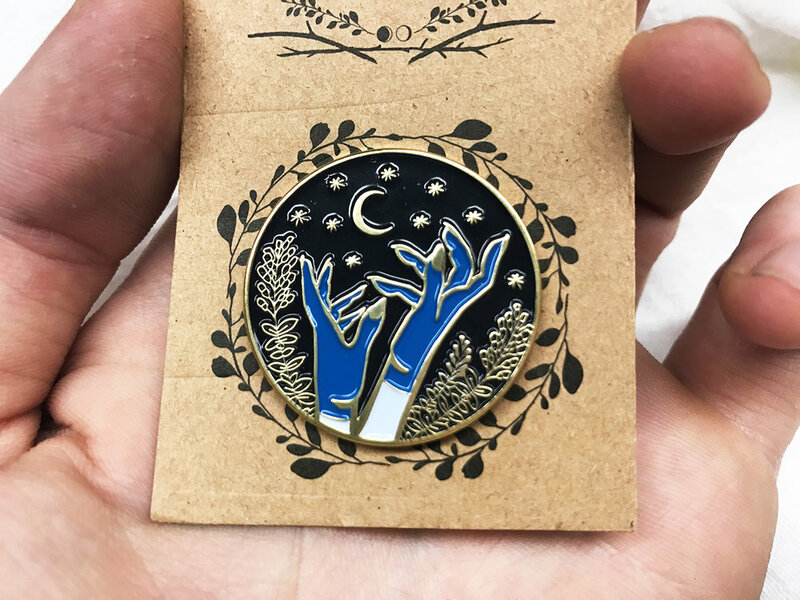 Their company focuses on creating naturally dyed products, and when you spend enough time with your hands plunged in indigo, they start to pick up the color themselves. 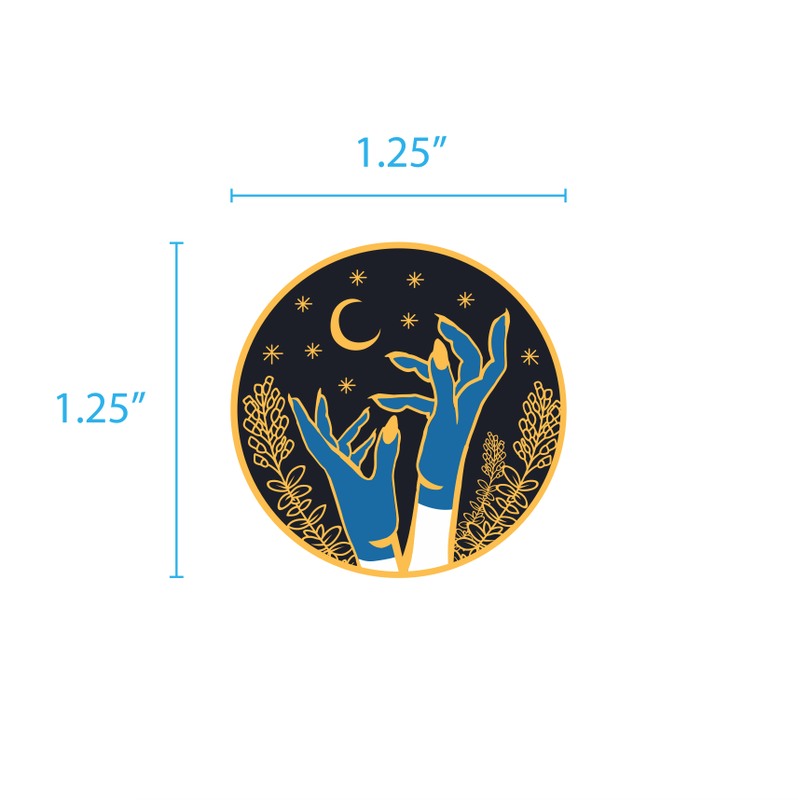 I illustrated the entire scene, then turned the design in a production ready file, and worked with a manufacturer to have them created. 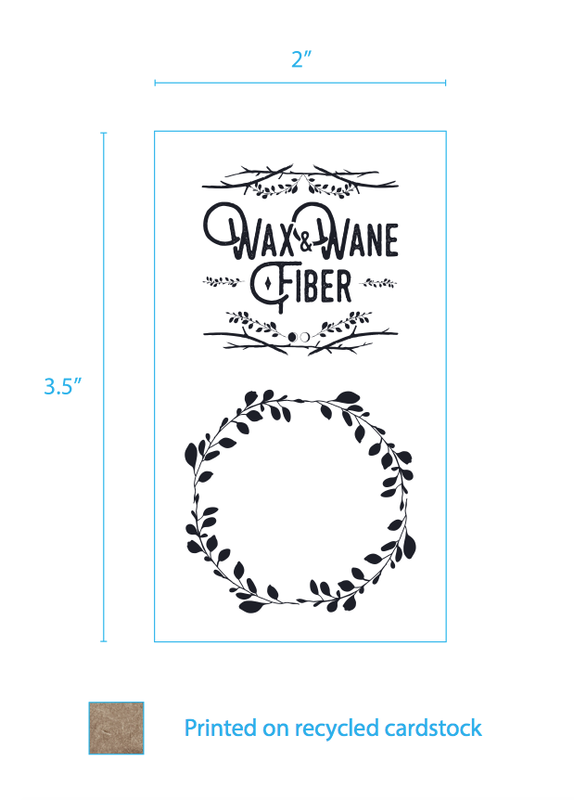 I also created a simple backing card for them to use as packaging.